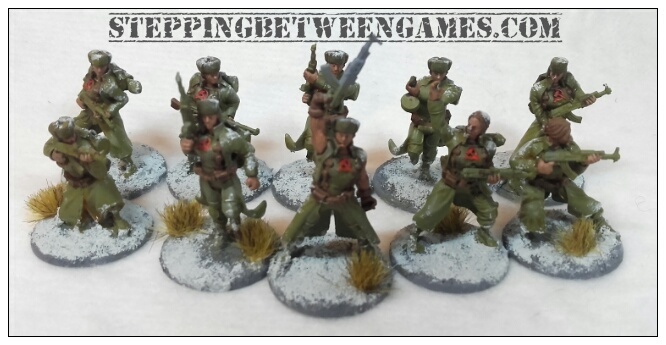 Using a low level of DNA enhancement through their Rift-tech programme, the Soviet Union has created an all-female, propaganda-driven elite unit. … Their battlefield successes may well see them deployed in broader roles as the war progresses. 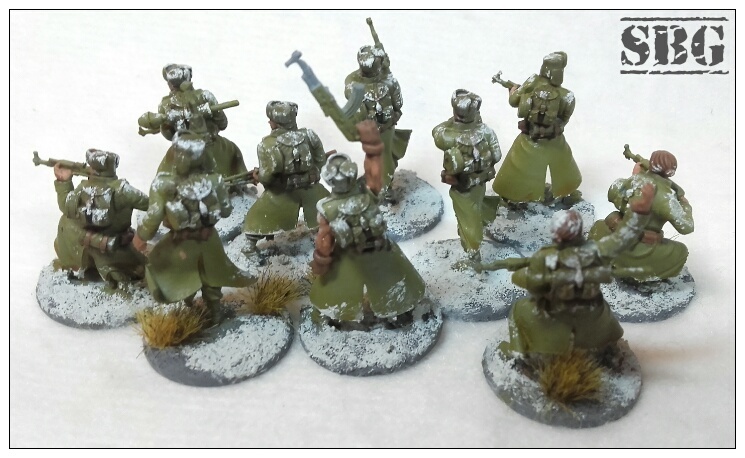 In the previous post these figures were only bare metal with no basing. We have advanced pretty far since then, so here are the work in progress shots. I got this set from Alchemists Workshops and have been itching to dig into them (and build an army around them). 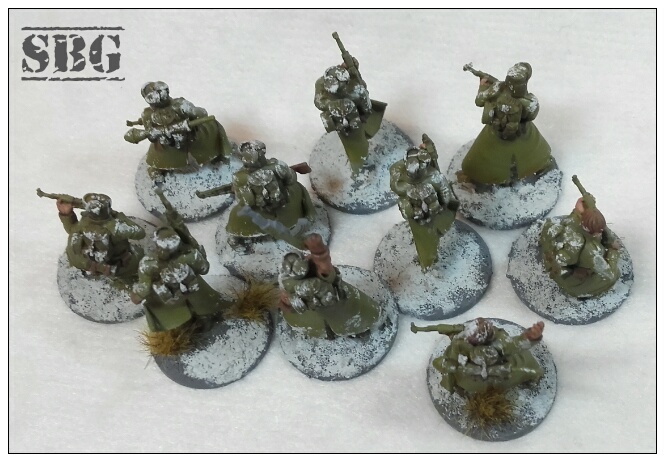 The bases were built up from sand mixed with white glue or PVA, packed on and sprayed grey. Then I applied some generous and random bunches of Mourn Mountain Snow. The base green was actually done by washing Cassandor Yellow over the grey, making sure it didn’t pool overly. Spreading it out is key to this. AfterwardsI applied some of the snow effects to parts of the model I thought would logically still hold some falling snow. These warriors are not quite finished and will need some skin highlights and gear painted. But I am quite happy with how they are looking so far.